Founded in 1950, we are an independent oil and natural gas company focused on the acquisition, exploration and development of high-quality assets in the heart of the Permian Basin. Our mission is to build trust, create value and drive sustainable growth responsibly for our investors, our employees and the communities in which we operate. Our values are the foundation upon which our Company was built and upon which we will sustain our success. They are a reflection of our ideals as individuals, and direct our actions as a company. 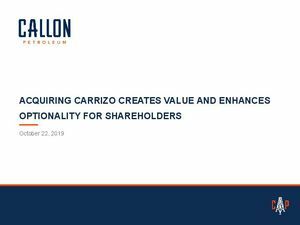 Importantly, these values enable us to foster trust with our employees, our shareholders, our landowners and the communities in which we operate. The safety of our employees, contractors and communities is of utmost importance – this is not negotiable. We recognize that we earn the right to operate every day by developing our assets responsibly and with respect for the environment. 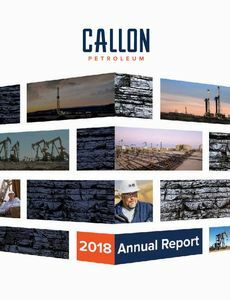 We focus on safety and protection of the environment in every operation, and all Callon representatives are authorized to “stop work” if these are at risk. We always strive to do the right thing and pride ourselves on being a preferred partner. We are consistently open, honest, ethical and genuine. We do what we say and are accountable for our actions. Keenly focused on leading, we relentlessly challenge the status quo to meet and exceed our expectations for top-tier performance in all aspects of our business. We value the ideas and contributions of all team members and show consideration and appreciation for one another. We recognize and embrace each other’s differences and work towards our common goals. Our business requires focused innovation and evaluation of new opportunities for resource extraction. We balance the application of new technologies and testing of new concepts with prudent risk management and thorough data analysis. 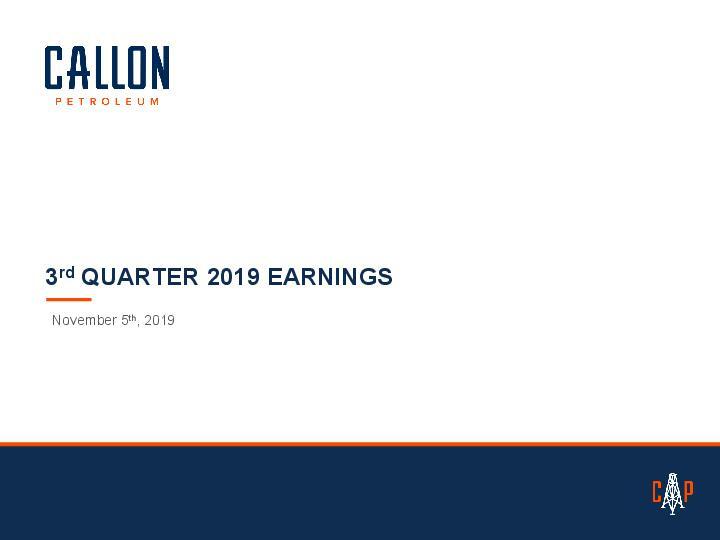 Shares of Callon Petroleum Company common stock and Preferred Series A stock are both traded on the New York Stock Exchange under the symbols "CPE" and "CPE-A", respectively.